Following from previous posts this continues the details of permissions needed between vmware products for interoperability. For vRealize Operations 6.0 and above, for Launch in Context Integration to work, a user with administrator privilege is required. 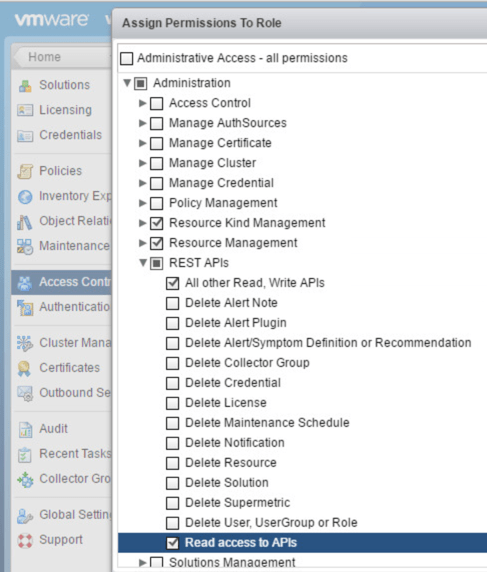 If both Alert and Launch in Context are enabled, a user with administrator privileges is required. 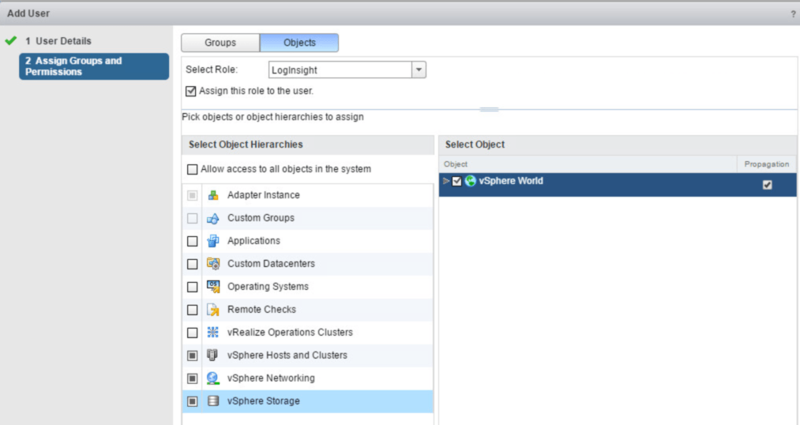 Tagged LogInsight, vRealize Operations Manager, vSphere6. Bookmark the permalink.